The most dramatic changes in a generation have been made to the pensions system in the UK. We can help you understand and use a Flexible Drawdown Pension to meet your needs and use your pension in line with the new Pension Freedoms. People who choose to use an income drawdown product will have full flexibility on how they use their pension. They can even cash in all of their pension if they want to. If you are looking for a company to explain how flexi-access income drawdown works and the various uses you can make of it, that is exactly what we do. Click here for a FREE QUOTE and Personalised Information Pack. From April 2015 all restrictions on how customers can use their personal pension fund were removed. There are now many ways a penson fund can be used to allow curtomers to achieve a wide range of financial goals. The government will even let you take it all in one go - if you want !! However your existing provider may not offer some or all of the new features. You may be better off using a pure Drawdown product. While these changes have got people very excited, and present a number of new opportunities, we believe that it is important that you take time to consider all your options. Remember, your pension was intended to provide you with an income during all the years of your retirement - blowing it all in one go, could leave you short of money in your later years. We have been helping customers manage their pension funds for many years. We provide a friendly and efficient service, aimed at giving you all the information you need to make an informed decision. We put you in control of your pension drawdown fund. Your pension fund is intended to be used to provide income during your retirement. If you exhaust your pension fund too quickly you could run out of money in retirement. This could have a major impact on your standard of living and quality of life. 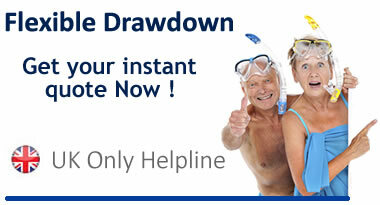 The Pension Drawdown products on this website are purchased on a non-advised basis. If you are at all uncertain about drawdown or the most appropriate course of action we strongly recommend you take financial advice. From April 2015 there will be no restrictions on customers aged 55 or over with a personal pension on how they use their pension fund. The government will let you drawdown as much or as little of it as you like. Call 020 33 55 4827 - Now ! !